In previous post, I have showed how to install apk directly into BlueStacks, however some prefer to install apps through Android Market. Even though there was cases where virus being distributed on Android Market (because Android Market is not as stringent as Apple AppStore), it is still better than downloading apk from unknown sources. If you don't have any google account, you can use normal method (web browser on PC) to create one new account. If you already have google account, you can use the same user name and password to login to Android Apps. After login, it is just like browsing Android Market on Android phone. Find your apps and install and launch it. Do note that apps that installed through Android Market has to be launch from Android Market. 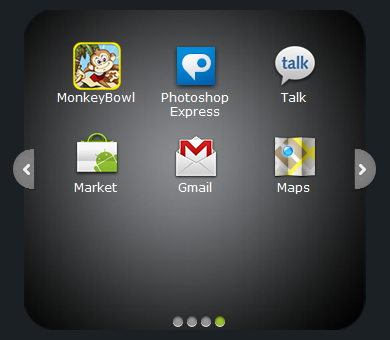 I cannot find the apps appear on launcher of BlueStacks. Android Market also require internet access no matter to launch the apps that already install. So there might be a problem if you are offline (not connected to internet all the time). I also installed Amazon AppStore on BlueStacks, however the apps that I installed through Amazon AppStore seems like taking forever to load (a.k.a not running). Probably it is because the apps or Amazon AppStore, I have to check again. Because of limitation of Android Market and Amazon AppStore, I still think installing apk directly is the best method. Update (Jan 19, 2012): If you are plan to upgrade BlueStacks and if you want to preserve the icon arrangement after you edit the apps.json, make sure you back up the file before you run the upgrade. Update (Mar 31, 2012): Thank you for visiting this blog. If you are coming from (fake)outdatedpenanguncle dot blogspot dot in, please do not visit it again. That blog is copying this blog (OutdatedPenangUncle.blogspot.com) exactly. Please support this blog (OutdatedPenangUncle.blogspot.com) by g+ or like. How to run Windows XP programs in Windows 7? How to embed PDF in blogger?